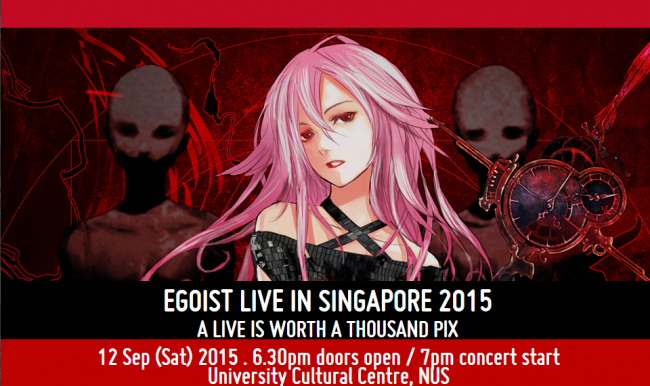 Coming on September 12th at the University Culture Centre at the National University of Singapore, EGOIST will be holding its first solo live in Singapore. The musical unit consisting of Ryo of supercell and Chelly (who was chosen from over 2000 applicants in vocalist auditions), will be performing in a full fledge one night only concert. EGOIST debuted with the television anime <Gulity Crown>, where Chelly performs various theme songs as the band’s vocalist under the persona of Inori Yuzuriha, the main heroine of <Guilty Crown>. They would later perform the theme songs for the extremely popular futuristic thriller <PSYCHO-PASS>, a collaboration that has continued for both seasons. Their popularity has since expanded out of Japan, taking number one in the combined music charts in China and across Asia. Although performing live, Chelly has never publicly revealed her face, instead performing behind a customised veil while a projection of Inori acts as the face of the band. 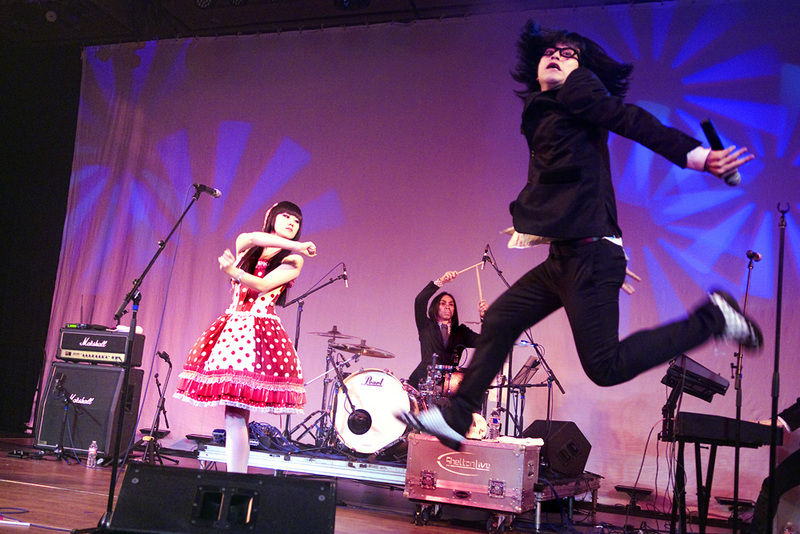 The concert employs a full suite of motion capture technologies, allowing Chelly to sing and dance, controlling Inori’s movements in a collaboration of music, showmanship and the latest in performance technology. It will no doubt be a spectacular for both fans and technology enthusiasts alike! 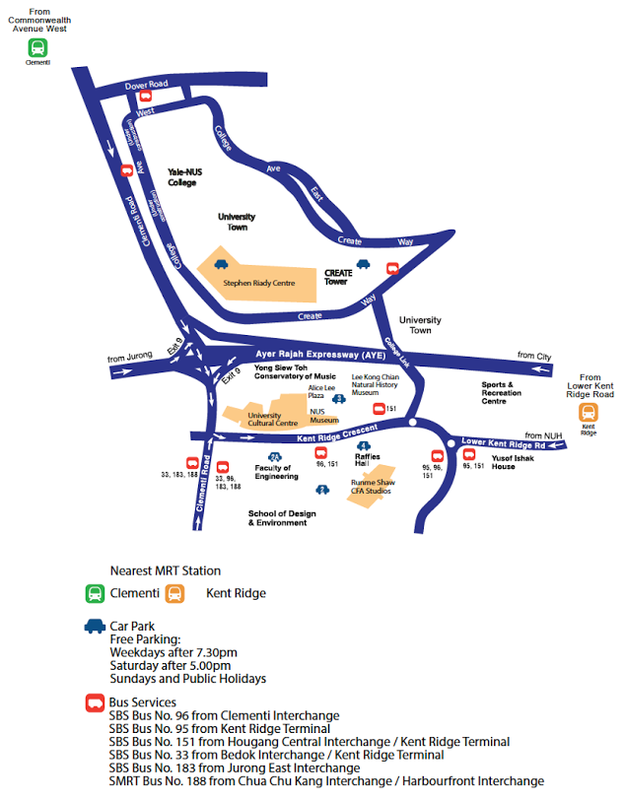 EGOIST LIVE IN SINGAPORE 2015, is proudly organised by INCS toenter Co.,ltd., planned by INCS toenter Co.,ltd., Sony Music and produced by SOZO, promoted under the Japan Music Festival platform. Early bird VIP tickets for the concert are to be on sale via SISTIC from the 26th of June at 10AM till 2nd July, 11:59PM with VIP and GA tickets sales starting from 3rd July. PreviousMAN WITH A MISSION x Zebrahead: Music video for “Mad Max: Fury Road” version of new song released!